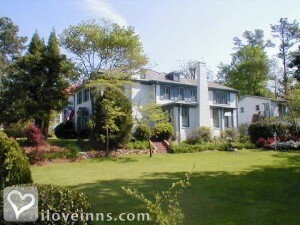 Fuquay-Varina bed and breakfast travel guide for romantic, historic and adventure b&b's. Browse through the iLoveInns.com database of Fuquay-Varina, North Carolina bed and breakfasts and country inns to find detailed listings that include room rates, special deals and area activities. You can click on the 'check rates and availability' button to contact the innkeeper. Fuquay-Varina, North Carolina is a package of surprises from the cultural to the natural and from the historic to the modern. In Raleigh, which is near the town, world class music concerts are held at Alltel Pavilion. Aside from this, Artsplosure, which is held in May, features local artists in this part of the State. In Fuquay-Varina itself, Ashley's Art Gallery is also a must-see. Visit The Aviator Brewing Company or try Chatham Hill Winery. There are several museums in the Fuquay-Varina area and the most prominent of these are North Carolina Museum of Art, Ava Gardner Museum, and North Carolina Museum of History. From their accommodations in Fuquay-Varina bed and breakfast inns, guests can drive a few minutes to get to the North Carolina Theatre. By Fuquay Mineral Spring Inn and Garden.